I cannot express my hate for doing nail posts when I have short nails. I just find them completely ugly on myself. But I came up with something pretty cool at 2AM this morning so I just had to show you! I even did a tutorial for you, how nice am I? 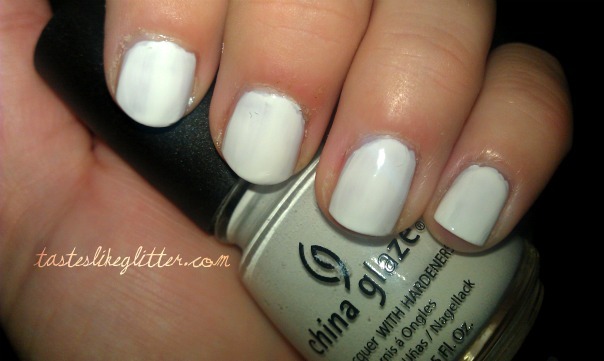 First up I coated my nails in O.P.I Nail Envy and two thin layers of China Glaze White On White. 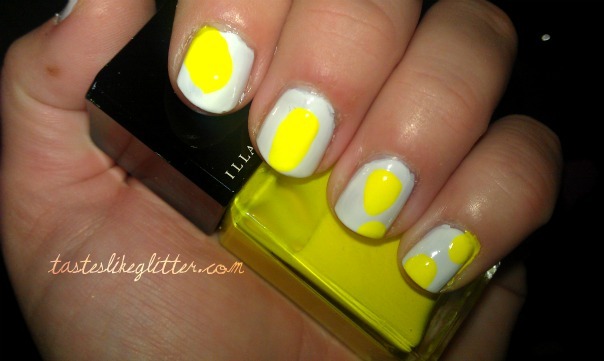 I started with the lightest colour I wanted to use and added random blobs of Illamasqua's neon yellow in Rare. 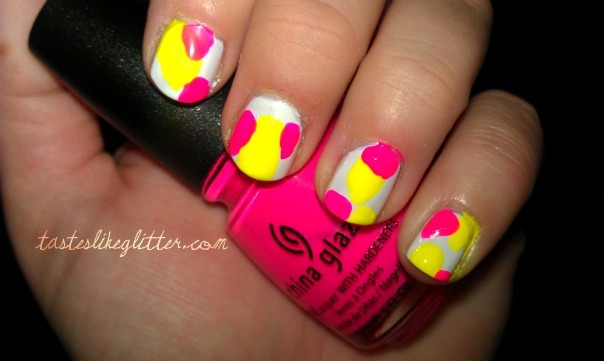 Next up I took Pool Party from China Glaze's neon collection last summer and did the same. 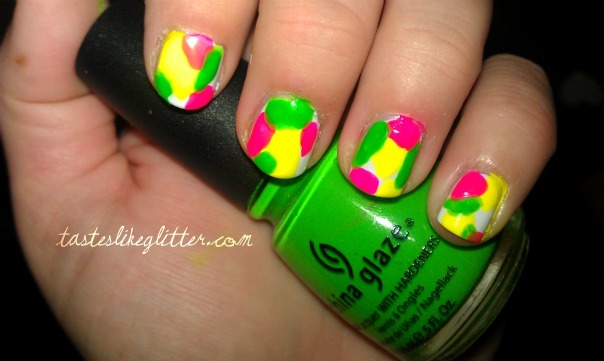 China Glaze's Kiwi Cool-ada, once again same thing. Finally finished the blobs with Towel Boy Toy by China Glaze. 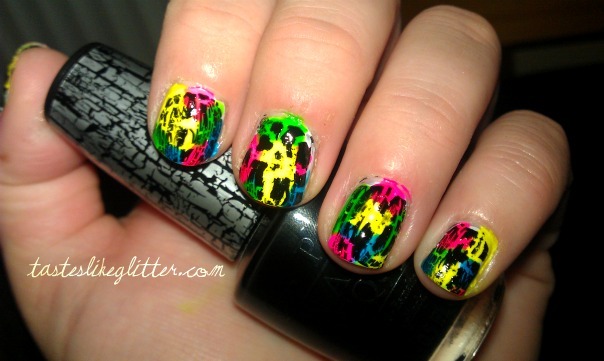 Once the nails were totally covered I topped them with O.P.I Black Shatter. Check this out for amazing an effect! I haven't been loving shatters really, everyone has been wearing them and every company has been releasing them. So I got bored and decided to do something bright and a little different. Hope you guys like. 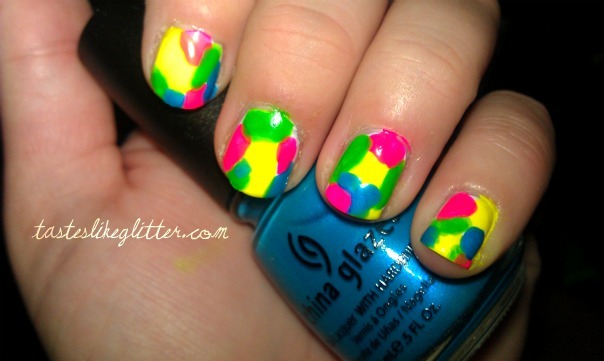 What's your favourite way to wear shatter polishes?